As a top leader in the life science industry, New Jersey is setting the stage to develop the infrastructure, resources, and above all, the talent to remain competitive in the emerging biomedical market. The Life Science Innovation Summit will bring together leaders from industry, government and education, to explore best practices and innovative ideas to support the State’s biotech start-ups. 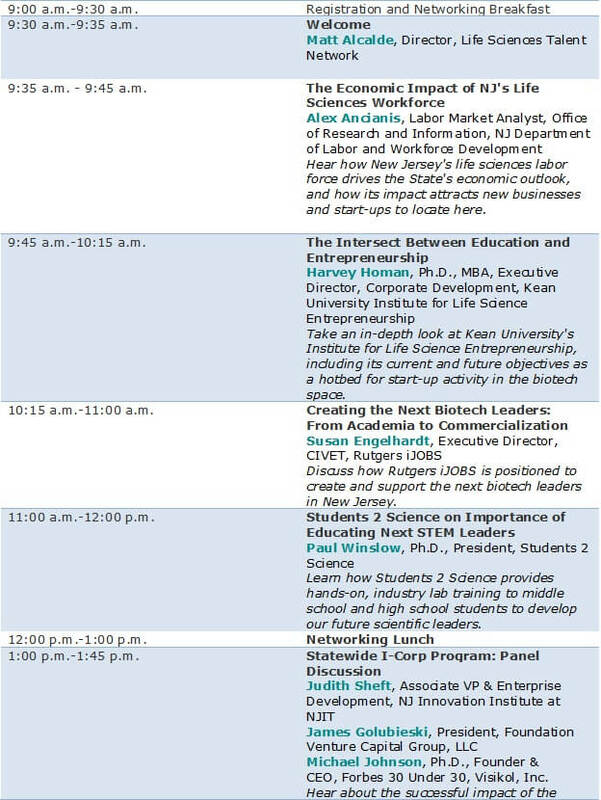 Speakers will discuss how education is intersecting entrepreneurship to attract the next life science leaders and explore new programs that are generating new business start-ups every day.